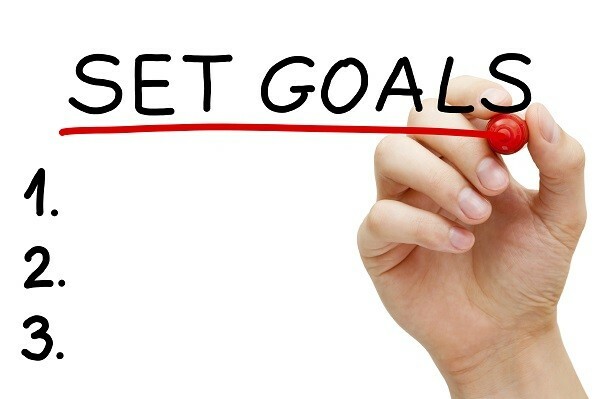 Things to do for 2019- #1 Set Goals. Break big goals into smaller tasks. So, 2019 has begun! Congratulations! God blessed you and favored you to see another year, so don’t take that lightly. Each and every day presents a new opportunity for you to walk in purpose and destiny like never before. I’d like to say it like this…..it’s not an alarm clock that you wake up to every day. It’s an opportunity clock. You get another opportunity at life. You get another opportunity to win. You get another opportunity to set goals and achieve them. It’s your opportunity. It’s up to you to make the most of it. So, with that being said, I need you to do something. I need you to sit down and strategize your entire year! Well, that’s if you haven’t already done it. Figure out what it is that you need, want or desire to do that will lead to you reaching a big goal. What is that BIG thing that you desire in life? What little steps are you taking to ensure that you reach it? Ok, so you have the idea. Now it’s time to take steps or continue to take steps that will help you see the manifestation. I’ve already planned out my year…well for the most part that is. I know there are things that will come along the way that I will have to adjust to, but overall, I have a good idea of what I want to do. I think about the major launches for my business, sales for my store, vacation times with my family, date nights with my husband, date nights with my son, staycations, massage times, conferences, events, personal trainings and developments for self-investment purposes, etc…. You see, you have to strategically plan out your life. You have to put systems in place that will create little things or habits that will help you accomplish your bigger goals in life. Are you doing that? Are you getting it all together for 2019? I hope so. The Word tells us that without vision, the people perish. Don’t let your dreams pass away because you can’t envision the small things that you will need to do in order to reach the bigger picture at hand. Only you can do it. So, let’s get to work!